bkSpecto delivers high-resolution images with superb anatomical details enabled by a new faster processor and advanced auto-optimization algorithms. With an intuitive, rapid, touch-based guided interface, bkSpecto enables faster exams and its configurable layout helps eliminate the learning curve encountered because of changing staff. Additionally, the sealed glass keyboard of the bkSpecto enables ‘sightless navigation’ through our Tru-Sense™ technology and is much easier to clean than traditional ultrasound keyboards. Change the orientation of the high-resolution monitor to best suit your needs. Use portrait view for dual imaging or landscape view to see your images side-by-side. You may also adjust the keyboard angle and system height to suit your needs. 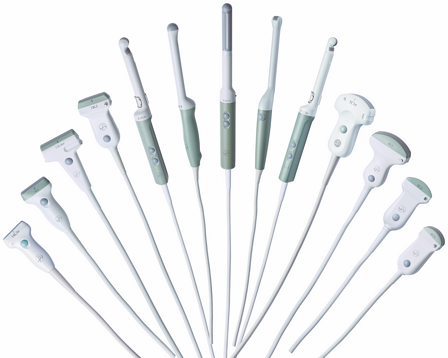 bkSpecto is compatible with an extensive range of BK’s sterilizable transducers designed for urologists, including our unique triplane prostate transducer. 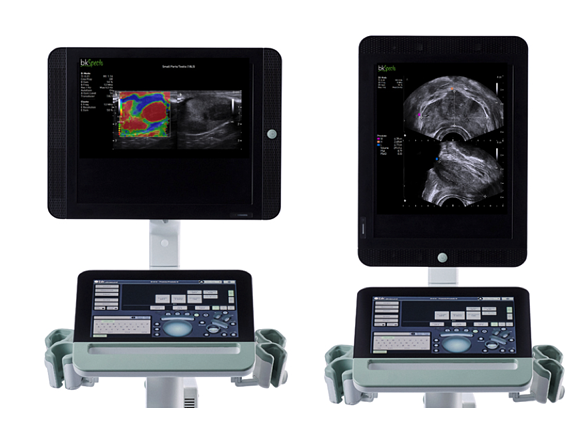 bkSpecto brings together BK’s outstanding image quality with a unique, easy-to-use interface and intuitive workflow that helps urologists work better and more efficiently.